Match ends, Blackburn Rovers 0, Fulham 1. 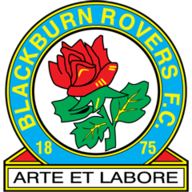 Second Half ends, Blackburn Rovers 0, Fulham 1. Goal! Blackburn Rovers 0, Fulham 1. Tom Cairney (Fulham) left footed shot from the left side of the box to the bottom right corner. Corner, Fulham. Conceded by Derrick Williams. Cauley Woodrow (Fulham) wins a free kick on the left wing. Foul by Gordon Greer (Blackburn Rovers). Attempt missed. Cauley Woodrow (Fulham) right footed shot from outside the box is high and wide to the right. Assisted by Sone Aluko. Substitution, Fulham. Lasse Vigen Christensen replaces Neeskens Kebano. Offside, Blackburn Rovers. Craig Conway tries a through ball, but Liam Feeney is caught offside. Offside, Blackburn Rovers. Jason Steele tries a through ball, but Anthony Stokes is caught offside. Attempt saved. Anthony Stokes (Blackburn Rovers) right footed shot from outside the box is saved in the bottom left corner. Assisted by Craig Conway. Substitution, Blackburn Rovers. Liam Feeney replaces Ben Marshall. Hand ball by Derrick Williams (Blackburn Rovers). Foul by Neeskens Kebano (Fulham). Craig Conway (Blackburn Rovers) wins a free kick in the defensive half. Substitution, Fulham. Jozabed replaces Scott Parker. Foul by Tomas Kalas (Fulham). Hope Akpan (Blackburn Rovers) is shown the yellow card for a bad foul. Kevin McDonald (Fulham) wins a free kick in the attacking half. Foul by Hope Akpan (Blackburn Rovers). Attempt missed. Darragh Lenihan (Blackburn Rovers) right footed shot from outside the box misses to the left. Assisted by Craig Conway. Foul by Michael Madl (Fulham). Anthony Stokes (Blackburn Rovers) wins a free kick in the attacking half. Foul by Sone Aluko (Fulham). Tommie Hoban (Blackburn Rovers) wins a free kick in the defensive half. Substitution, Blackburn Rovers. Anthony Stokes replaces Sam Gallagher. Tomas Kalas (Fulham) wins a free kick in the defensive half. Foul by Sam Gallagher (Blackburn Rovers). Substitution, Fulham. Cauley Woodrow replaces Matt Smith. Delay in match Danny Graham (Blackburn Rovers) because of an injury. Attempt saved. Hope Akpan (Blackburn Rovers) right footed shot from outside the box is saved in the bottom left corner. Assisted by Danny Graham. Attempt blocked. Darragh Lenihan (Blackburn Rovers) right footed shot from outside the box is blocked. Assisted by Craig Conway. Substitution, Blackburn Rovers. Darragh Lenihan replaces Danny Guthrie because of an injury. Delay in match Danny Guthrie (Blackburn Rovers) because of an injury. Attempt missed. Tom Cairney (Fulham) left footed shot from outside the box is too high. Assisted by Denis Odoi. Attempt saved. Matt Smith (Fulham) header from the centre of the box is saved in the top centre of the goal. Assisted by Tom Cairney with a cross. Neeskens Kebano (Fulham) wins a free kick in the defensive half. Foul by Danny Guthrie (Blackburn Rovers). Attempt missed. Tom Cairney (Fulham) left footed shot from outside the box is high and wide to the left. Assisted by Matt Smith. Attempt saved. Neeskens Kebano (Fulham) right footed shot from the left side of the box is saved in the bottom right corner. Assisted by Sone Aluko. Corner, Blackburn Rovers. Conceded by David Button. Attempt saved. Danny Graham (Blackburn Rovers) right footed shot from the centre of the box is saved in the bottom left corner. Assisted by Ben Marshall with a through ball. Michael Madl (Fulham) wins a free kick in the defensive half. Second Half begins Blackburn Rovers 0, Fulham 0. First Half ends, Blackburn Rovers 0, Fulham 0. Attempt blocked. Ben Marshall (Blackburn Rovers) right footed shot from outside the box is blocked. Offside, Fulham. Kevin McDonald tries a through ball, but Sone Aluko is caught offside. Offside, Blackburn Rovers. Danny Guthrie tries a through ball, but Gordon Greer is caught offside. Sam Gallagher (Blackburn Rovers) wins a free kick in the attacking half. Attempt blocked. 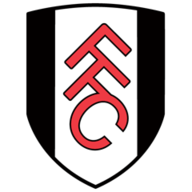 Sone Aluko (Fulham) right footed shot from outside the box is blocked. Assisted by Tom Cairney. Attempt missed. Neeskens Kebano (Fulham) header from the centre of the box misses to the right. Assisted by Scott Parker following a corner. Corner, Fulham. Conceded by Jason Steele. Attempt saved. Neeskens Kebano (Fulham) right footed shot from outside the box is saved in the top left corner. Corner, Blackburn Rovers. Conceded by Michael Madl. Offside, Fulham. Sone Aluko tries a through ball, but Neeskens Kebano is caught offside. Corner, Fulham. Conceded by Jason Lowe. Attempt blocked. Sone Aluko (Fulham) left footed shot from outside the box is blocked. Assisted by Tom Cairney. Sone Aluko (Fulham) wins a free kick in the attacking half. Offside, Blackburn Rovers. Hope Akpan tries a through ball, but Sam Gallagher is caught offside. Neeskens Kebano (Fulham) wins a free kick on the right wing. Corner, Blackburn Rovers. Conceded by Scott Parker. Offside, Blackburn Rovers. Danny Guthrie tries a through ball, but Sam Gallagher is caught offside. Attempt missed. Danny Graham (Blackburn Rovers) left footed shot from the centre of the box is too high. Assisted by Jason Lowe. Corner, Blackburn Rovers. Conceded by Tomas Kalas. Attempt blocked. Danny Graham (Blackburn Rovers) left footed shot from the left side of the box is blocked. Assisted by Derrick Williams.